﻿This craftsman/contemporary model is very spacious with a huge master sleeping loft and a large secondary loft with a privacy divider. 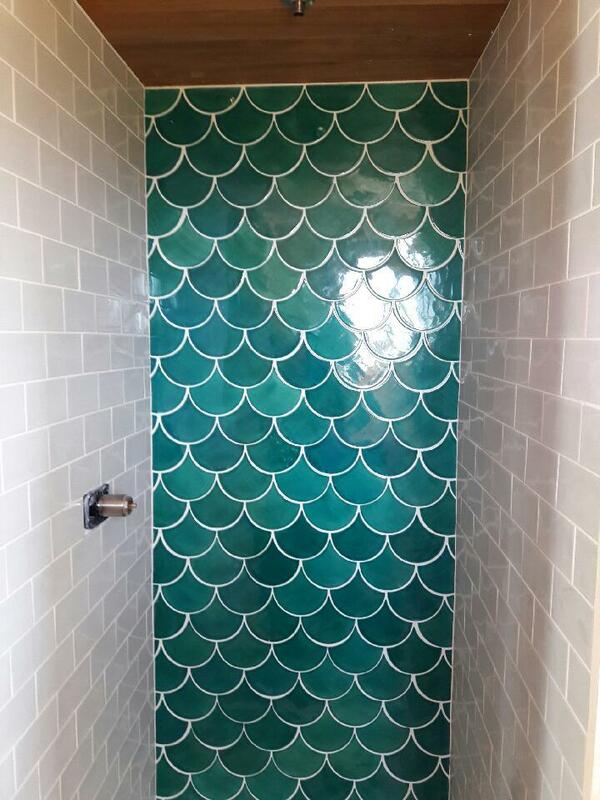 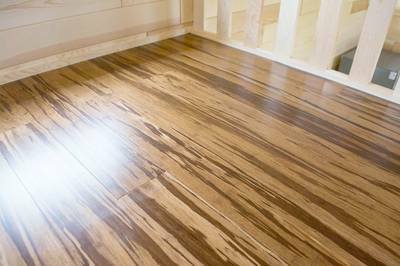 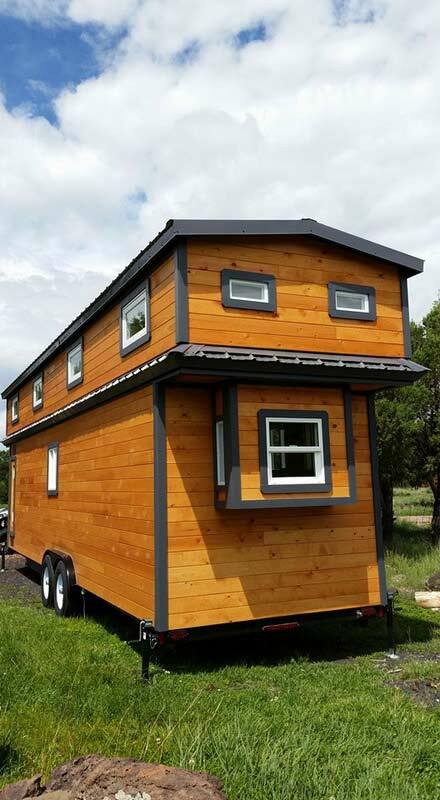 8.5' wide x 30' long x 13.4' high with a 2' extended loft pop out on each end. 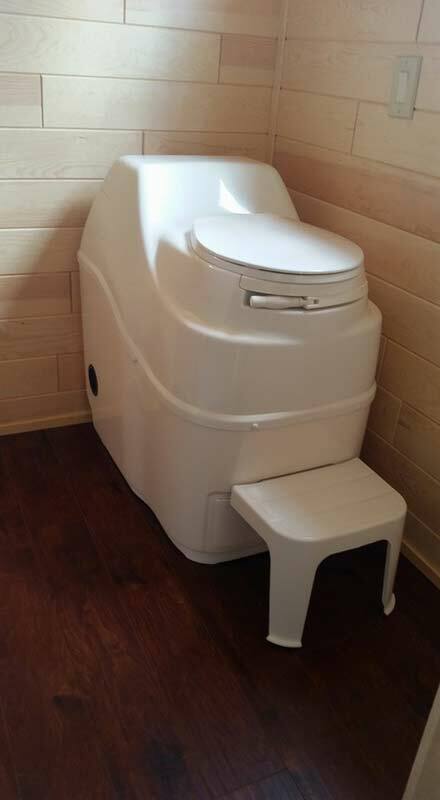 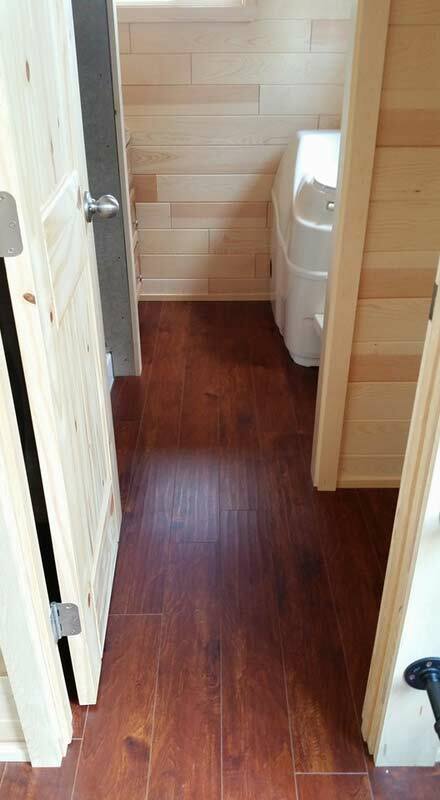 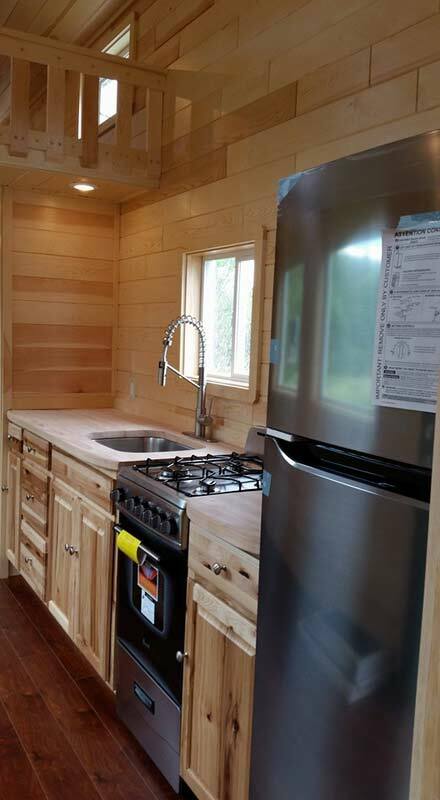 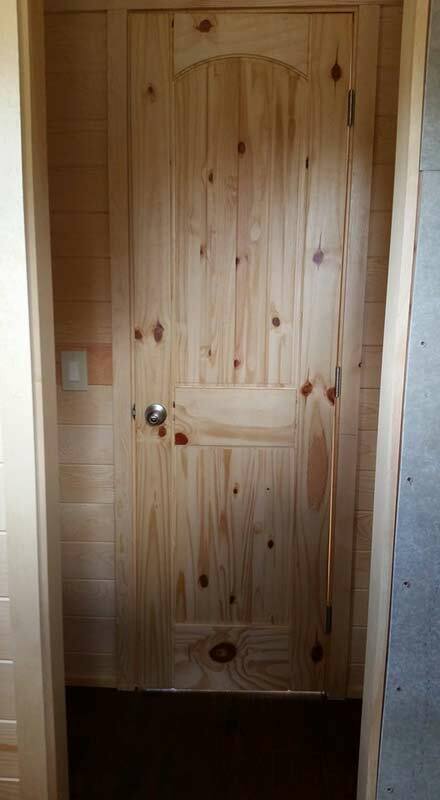 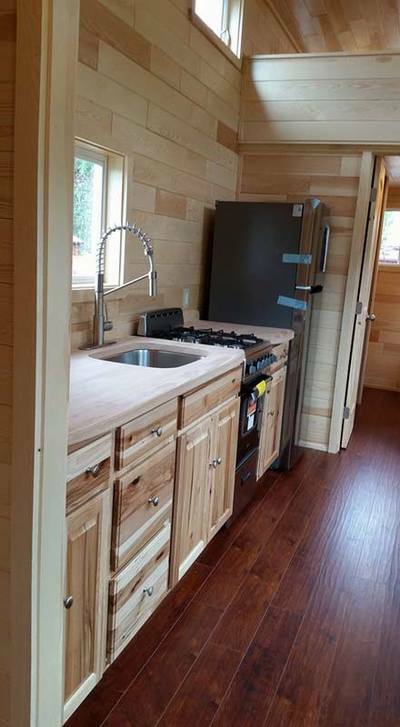 Includes a washer dryer combo, refrigerator/freezer, two wall heaters, cook stove, ceiling fan, recessed lighting, dimmer switches, on-demand hot water heater and a high end electric Sun-Mar Excel compost toilet. 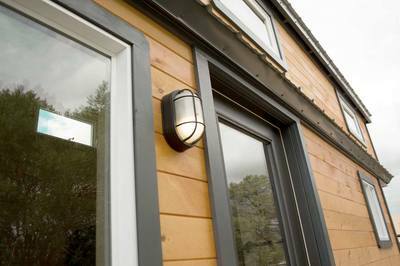 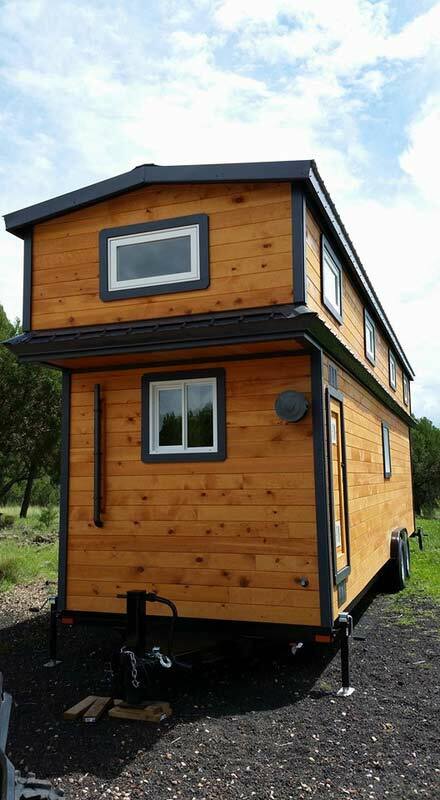 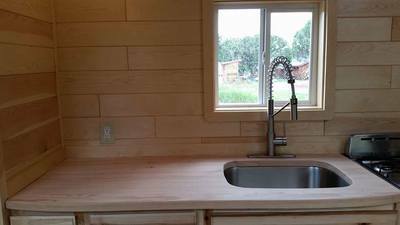 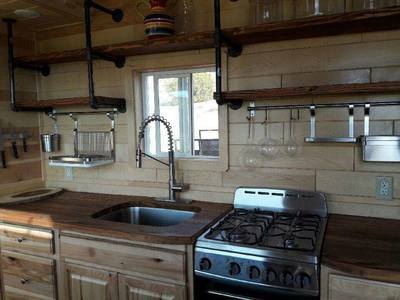 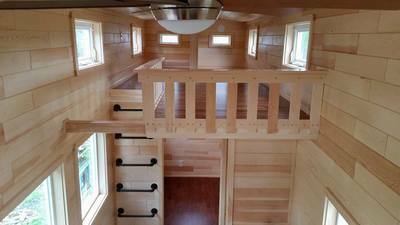 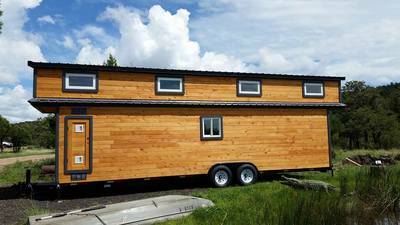 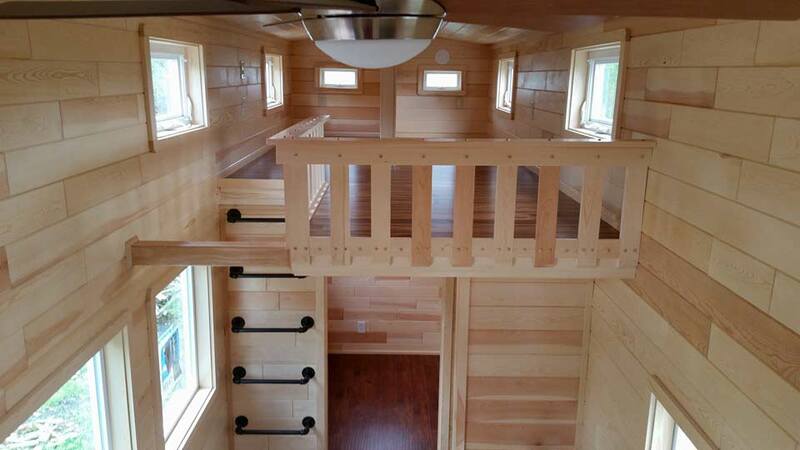 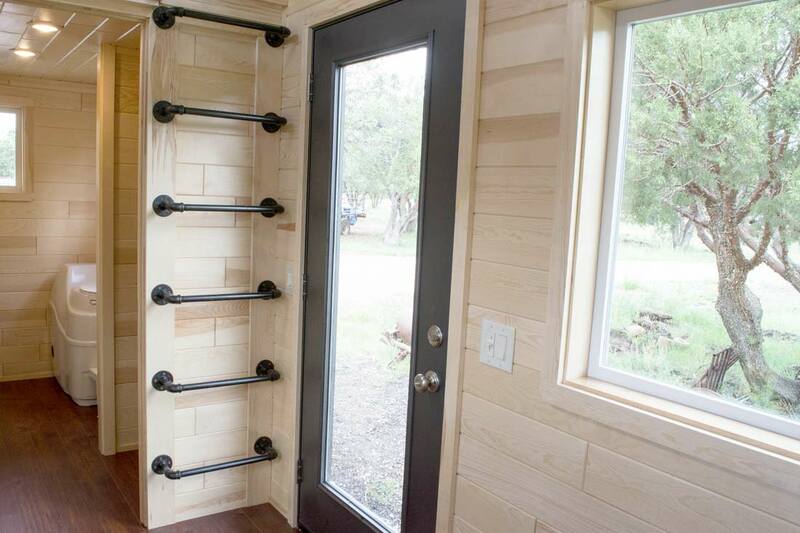 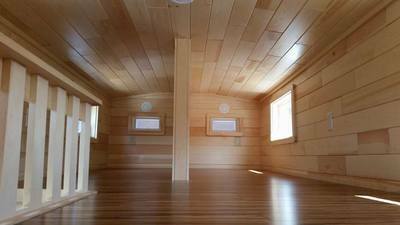 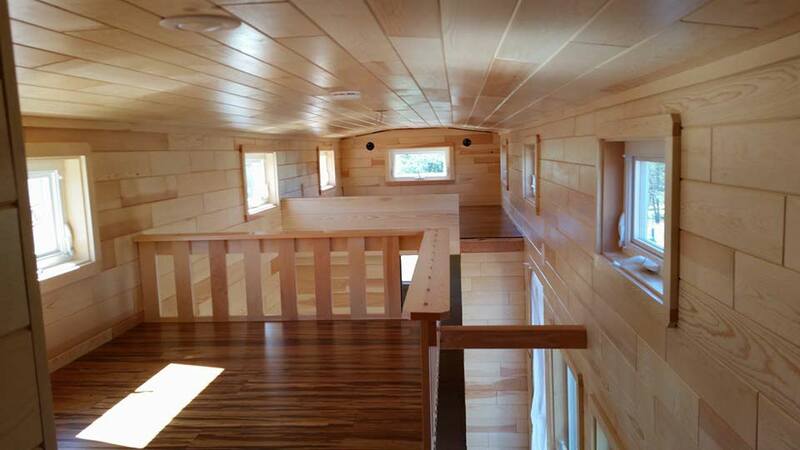 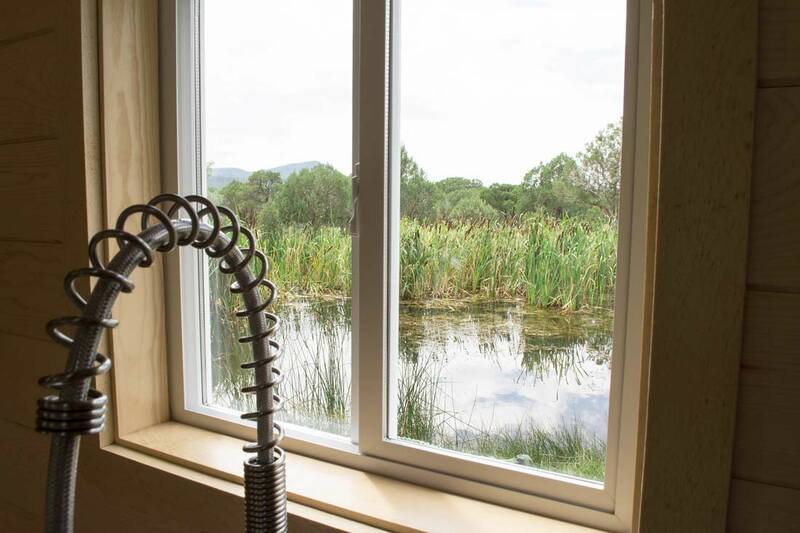 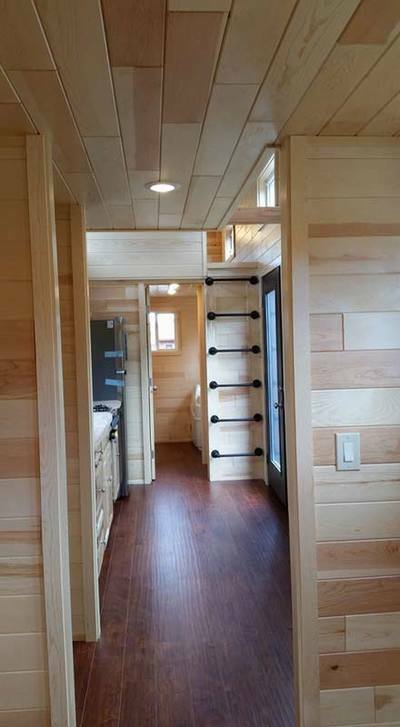 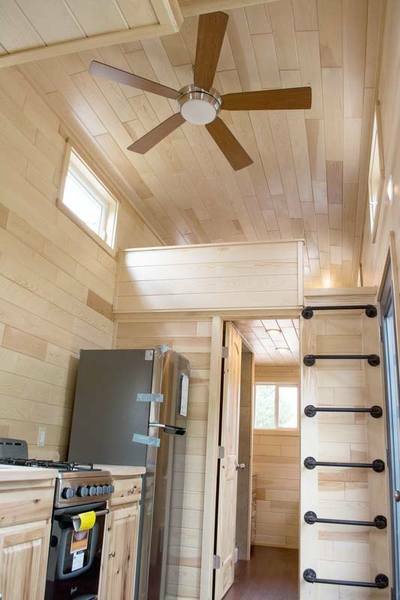 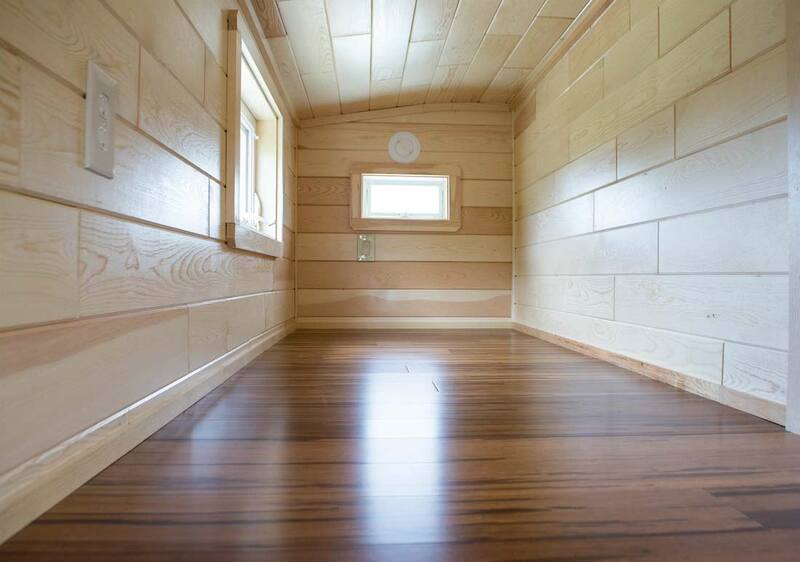 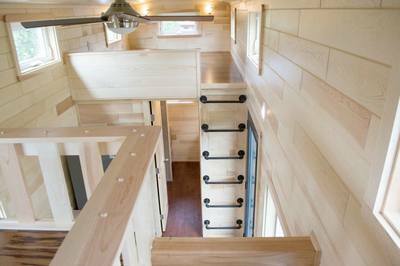 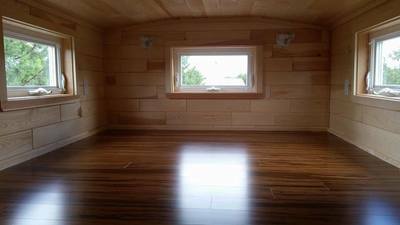 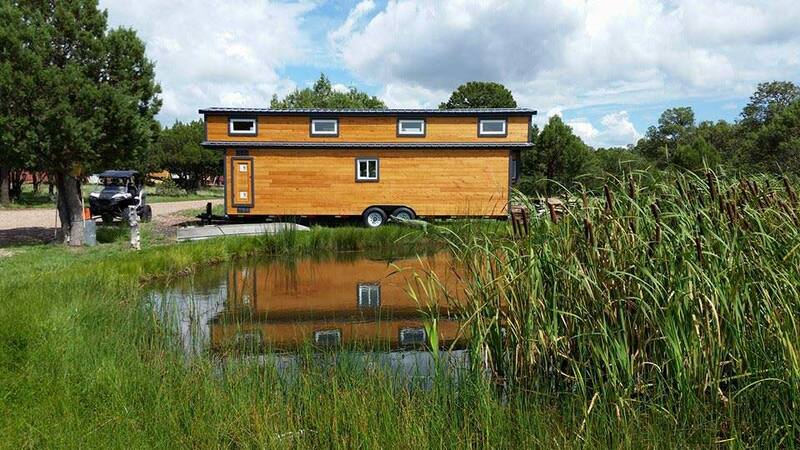 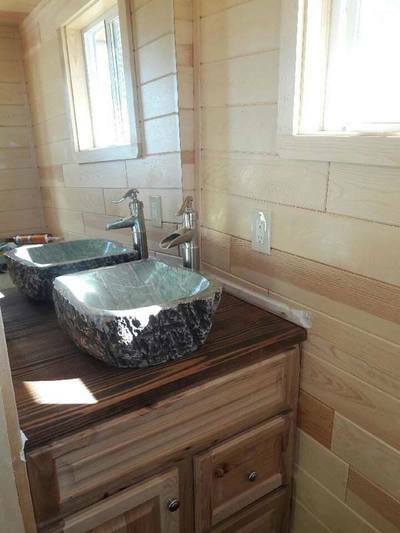 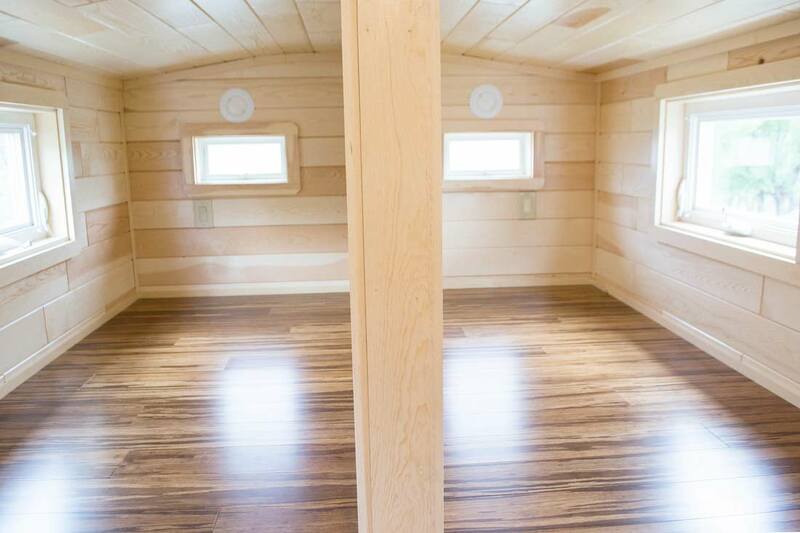 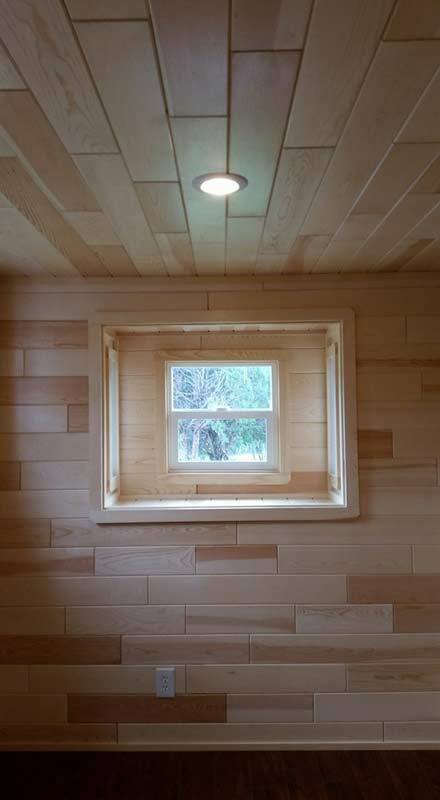 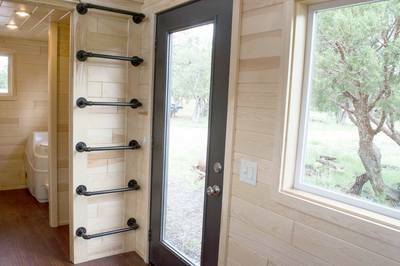 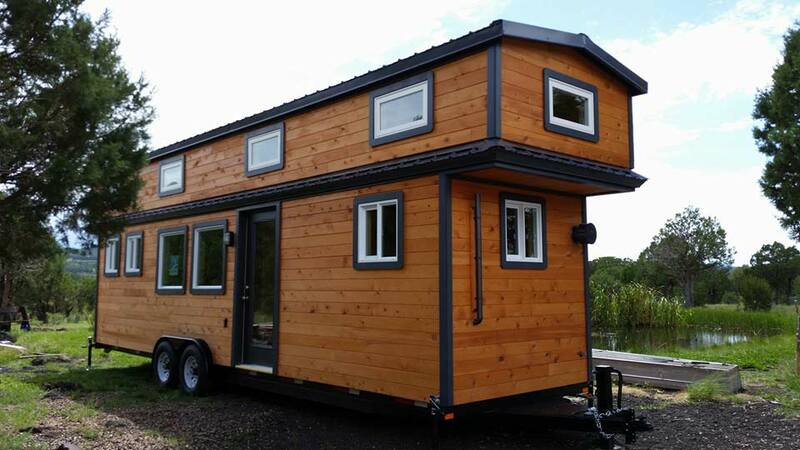 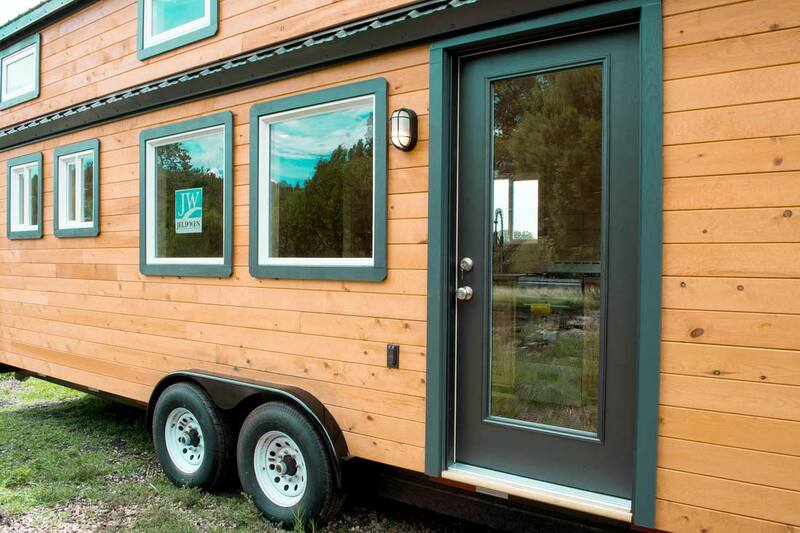 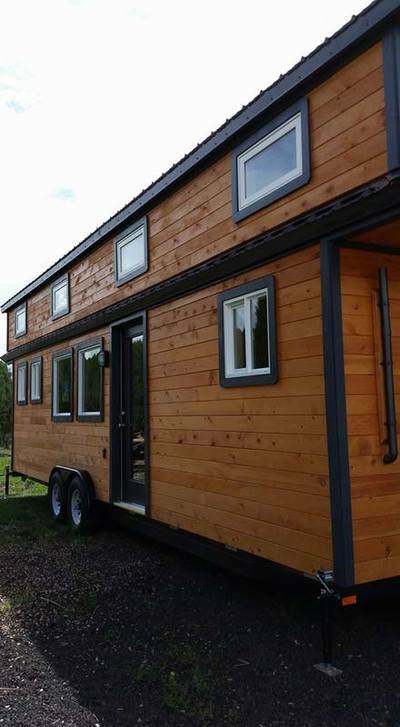 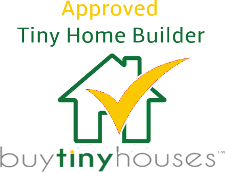 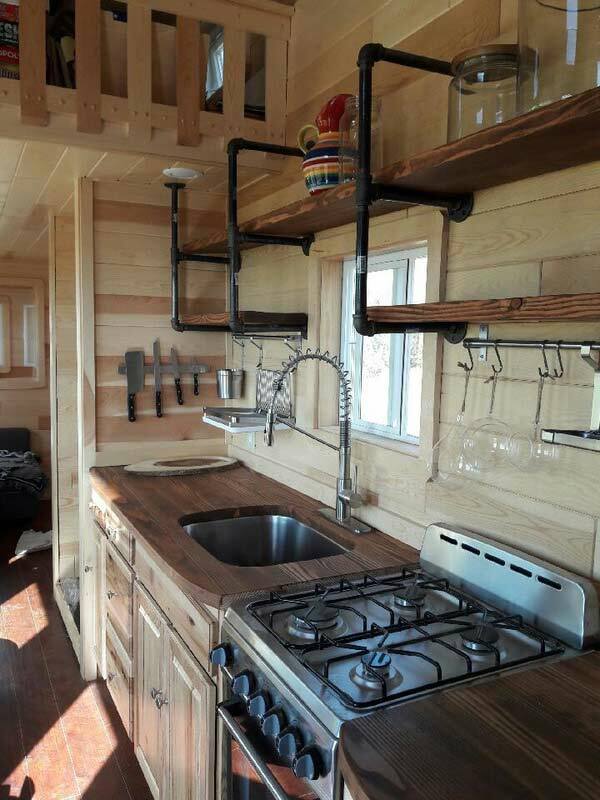 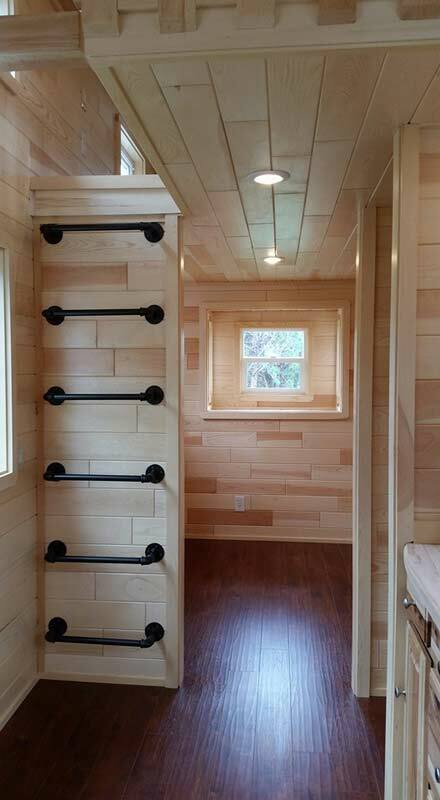 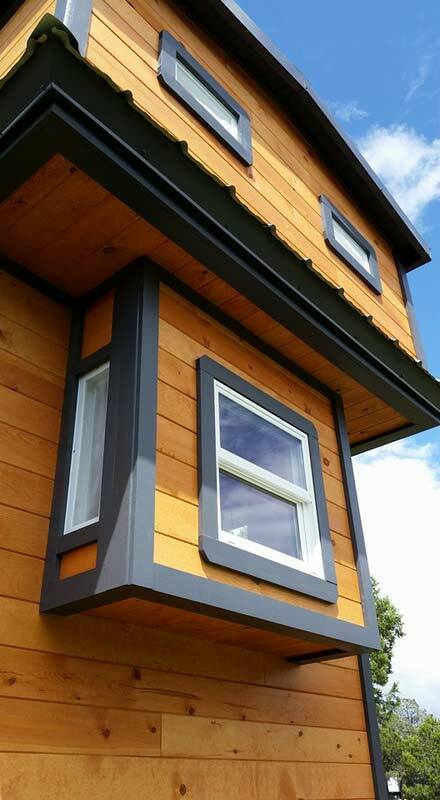 This tiny house is built on a SUPER HEAVY DUTY trailer designed specifically for tiny houses.